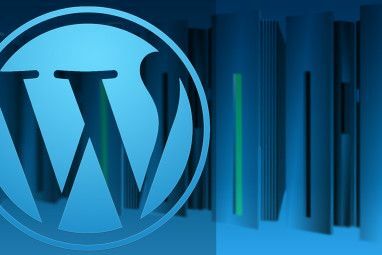 Many bloggers will search high and low for the perfect WordPress widget that will do exactly what they want, but with a little programming experience you may find it’s easier to write your custom widget. This week I’d like to show how to do exactly that, and the widget we will be writing is a simple one that picks out a single random post from your site, pulls the featured image, and displays it on the sidebar – a visual “check this out” widget that will help users to find more content on your site. This is also an extension of a continuing series in which I show you how easy it is to customize your WordPress template 2 New Cool Wordpress Plugins & Understanding The Wordpress Theme Structure 2 New Cool Wordpress Plugins & Understanding The Wordpress Theme Structure This week I'll be a taking a look at a superior alternative to the often praised All-In-One SEO; a plugin that gives you the power of a Wordpress publishing system but allows you to output... Read More . 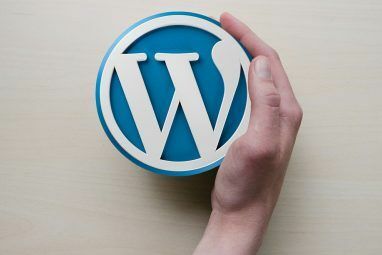 You may also be pleased to know that we’ve added a new WordPress Tutorials category to MakeUseOf, so be sure to check that out for an ever growing archive of up to date tips and guides to the world’s favourite blogging platform. Each page on your blog consists of a query to your database of posts. Depending on the page you are viewing, the query will change. Your blog homepage for instance, may use the query “get the latest 10 blog posts“. When you view the category archives, the query may change to “get the latest 20 posts for the category family photos only, order the results by date published“. Each query will return a set of results, and depending on the page template being used, each result will be run through the main “loop” of the template. Each page can in fact consist of more than one query though, and you can even create your own queries to add functionality to various places in your template. You can see an example of this in use at the bottom of this article – we have a few additional queries that run on every page that aim to show you related articles you may be interested in, or articles which are trending this week. To make our custom widget though, we will simply need to create an additional query that grabs X number of random posts plus their images, and displays them in some way on the sidebar. I already showed you last week the code to grab the featured image How To Jazz Up Your Wordpress By Adding Featured Images How To Jazz Up Your Wordpress By Adding Featured Images Featured Images were introduced into Wordpress in version 2.9, and it enables you to easily display an image that's associated with your blog post in various parts of your theme. Today I'd like to show... Read More , so we really just need to know how to make a new WordPress widget and place it on the sidebar. Paste the following into the file and save. Feel free to change the section at the top with my name in it, but don’t adjust the rest of the code yet. This is basically a skeleton empty widget, and you can see where it says //WIDGET CODE GOES HERE is where we will add our functionality in later. As it is, the plugin doesn’t do much apart from print out a large title with the words “This is my new widget!“. It does however give you the option to change the title, which is kind of essential for any widget. Adding in other options is a bit beyond the scope of this article today, so for now let’s move on to give it a real purpose. This is my new widget! Of course, you could change it to any number of posts – in fact, there’s a whole range of extra bits you can pass into the query in order to restrict, expand, or change the order of the results, but let’s stick with that for now. If you refresh, you should see just one post which is randomized each time you refresh. You can see the finished results again on my development blog Self Sufficiency Guide, though I might have moved things around by the time you read this. See how easy it is to make your own custom widget that can do exactly what you want? Even if you don’t understand 90% of the code I’ve shown you today, you should still be able to customise it somewhat by just changing variables or outputting different HTML. We wrote a whole widget today, but you could easily use just the new query and loop code on any of your page templates. Explore more about: Blogging, Programming, Wordpress. Hi, Can I add a Custom HTML widget (where I can put HTML codes) into this widget code? Hi Mario. There's nothing in the widget code that would prevent it showing on a search page, so I suspect your particular template either doesn't have the sidebar setup for search template, or has a special one defined. Do other widgets work on it? Unfortunately fixing that would require editing the search.php template found in your theme files, and probably some CSS modifications. Hi James! Thanks for your reply. I'm using a custom template, made by myself from scratch, so maybe you're right but the strange thing is that other widgets are working normally on search results page (example wp-polls widget). I'm using the function on all the php's of my template... Should I use a different function to call the sidebar in search results? Sometimes it seems that WordPress works in misterious ways to me hehe... Thanks again! That's odd that it works with other widgets. Does the widget title appear, without content? Or does the widget just not appear at all? If it's not appearing at all, I don't have any ideas I'm afraid. Thank You james you are superb ! Thank you. 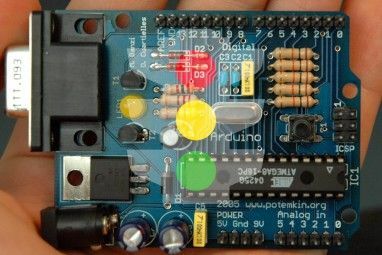 Now i have got basic idea how to start building widget. Brilliant post, I have a basis to start now. Thanks also for all the comments about activating it, I forgot this until I read the comments! Thank you very much for this widget tutorial. I need to make a few for my theme and now I can go about doing them. Thank you. Thanks to this article I just created my first widget: custom category search. "This function isn't meant to be used by plugins or themes. As explained later, there are better, more performant options to alter the main query. query_posts() is overly simplistic and problematic way to modify main query of a page by replacing it with new instance of the query. It is inefficient (re-runs SQL queries) and will outright fail in some circumstances (especially often when dealing with posts pagination). Any modern WP code should use more reliable methods, like making use of pre_get_posts hook, for this purpose. " No, query_posts() is the correct way to call a new loop. We're not modifying the main page query; we're making a new one on the sidebar. Alright, I struggled getting this to work for a while. After you create the .php file, your new widget will *not* show up in the Appearance->Widgets list until you activate it. Go to the plugins page and click activate on the widget, then it appears. Apologies, yes, although this isa widget, it is essentially still a wordpress plugin and all plugins must be activated before use. I should have mentioned that. w00t! This is SPOT ON for what I have in mind and it works like a charm. Couldn't find it explained anywhere else on the web. Thank you so much! Very nice! Glad I could help! What's a pitty : too much publicity, can't read your article. What a pity - too much nonsense, punctuation errors and spelling mistakes, I can't read your comment. What on earth are you talking about? It's amazing the time and effort people have put in to creating widgets for all to use for free. This just may inspire to me to create my own. Thanks! Great tips on this - there is money to be made for users who get creative with the idea.